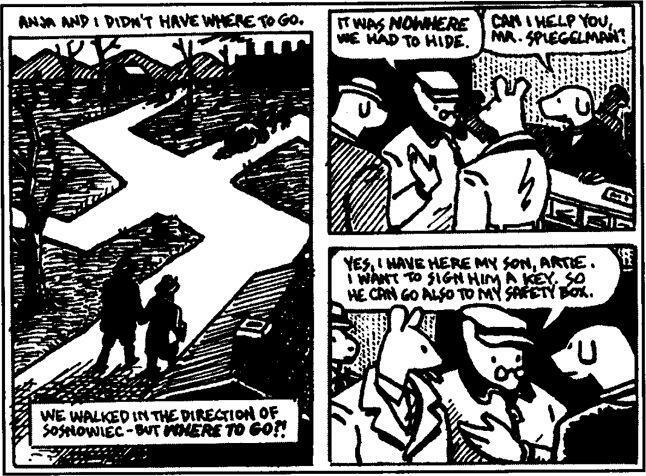 Maus tells the story of Art Spiegelman’s family’s experience of the Holocaust through depicting the memories of his father, Vladek. Famously the characters involved are drawn as animals, with their species depending on their nationality or religion. The Nazis become cats while the Jewish people involved are mice terrorised by this cats as dogs, pigs and other animals stand on the sidelines. Although I had heard many great things about the graphic novel I found it difficult to believe that this anthropomorphism would not trivialise its subject. Instead, it makes this global narrative of grief personal and individual to Spiegelman’s description and therefore, perhaps, even more devastating because it presents such a fresh account. Almost every page is filled with Vladek’s idiosyncratic turns of English speech and this quickly allows his character to come to life within the portrayal as a mouse. This peculiar phrasing also draws attention to the separation that exists between the lives of father and son. The narrative swerves between Vladek’s recollections, Art’s interpretation of these events and some of their everyday conversations as they navigate a relationship fraught with difficulties and cultural differences. Art is a post-war child born in America, and cannot understand his father’s compulsive need to be so frugal with everything from paper to cereal and roof insulation. Art’s frustration demonstrates the difficultly that post-war culture experienced in processing the long term effects of the Holocaust when the easiest response was to try and forget the destruction previous generations had experienced. 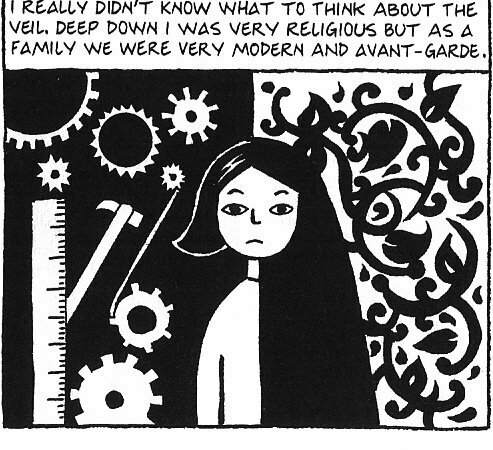 Although Art’s mother Anja survived Auschwitz she is absent throughout the entire graphic novel due to committing suicide after living for years in America. The shadow of the Holocaust, across even Art’s life, becomes more substantial and solidifies until the present and future cannot compete. 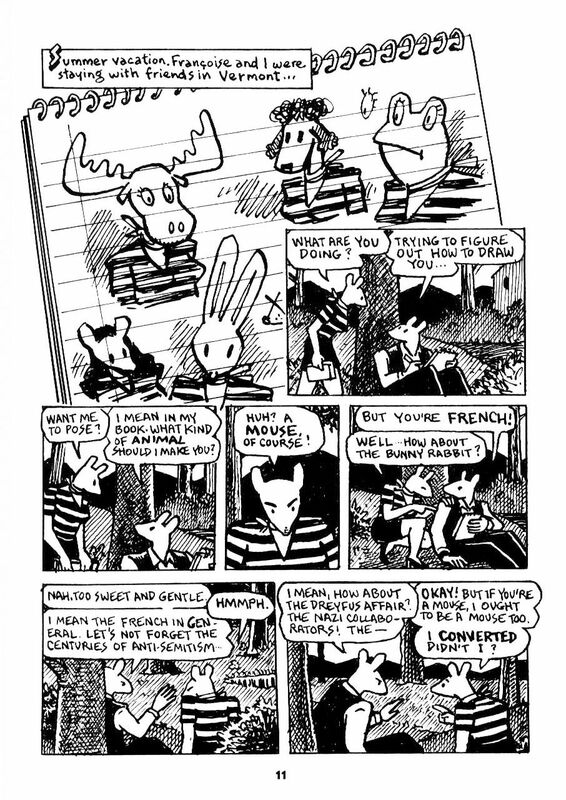 Spiegelman constantly references the process behind Maus, as he struggles to keep Vladek on track in their recorded conversations. His idea of how the graphic novel should be shaped is different to the real experiences and there are not always conclusions to the questions that are raised. So many people disappear into concentration camps, ghettos and violence that they can only be mentioned with a question mark over their fate. The anthropomorphic concept is also demonstrated to be limiting as it cannot reflect the multiple facets of individual personalities, as people convert to Judaism or claim they are German rather than Jewish. The futile nature of attempting to divide every character into one attribute also highlights the arbitrary nature of Hitler’s policies on eugenics. There is also an increasing awareness of how Spiegelman’s work adapts in response to the critical acclaim that the first half receives. He is overwhelmed by the attention which is paid and the demands that are made to promote and diversify the work. 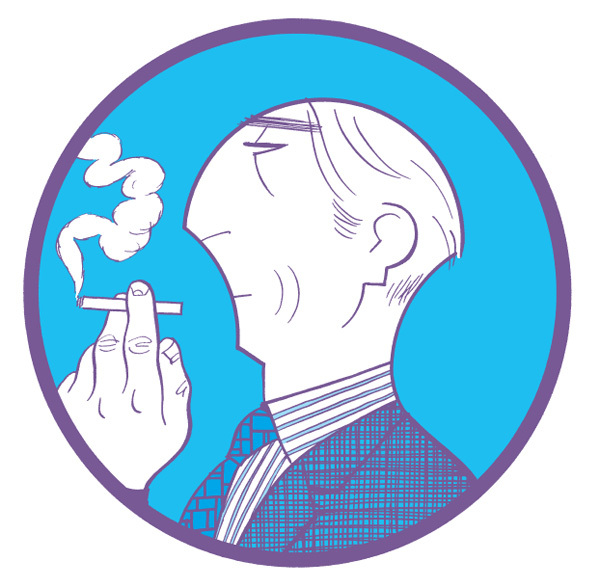 As his own reaction becomes a part of the graphic novel Spiegelman reaffirms his connection to the trauma of the previous generation even as he becomes aware how separate he will remain. The Holocaust cannot remain solely in history books and lessons but should be kept as part of society’s culture, however difficult an admission this may be. Maus is a book that will continue to shock people into accepting that the events of the twentieth century will continue to disrupt and destroy lives that did not even exist when the Nazis’ held Europe in their grasp and so I would recommend it wholeheartedly.